A110-10 STD DEP POINTS ON RWY 35L ARE AT TWYS A AND B. PILOTS MUST REQ USE OF RWY 35L EXTENSION. 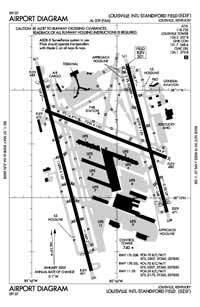 DECLARED DISTANCE FOR TKF AT TWY A AND B ASDA/TORA/TODA 10,250 FT.
A110-11 RWY 35R AT TWY E2 INTERSECTION DEPARTURE 6300 FT AVBL. RWY 17L AT TWY E INTERSECTION DEPARTURE 7700 FT AVBL. A110-12 ACFT TAIL HGT 65 FT OR GREATER REQUIRE 24 HR PPR. A110-13 ANG-DUTY HR 1200-2000Z (1300-2100Z-DT) MON-THU, 1200-1800Z (DT 1300-1900Z) FRI.
A110-14 ANG- FAA GP 6 ACFT RQR MIN 24 HR NOTICE FOR PPR. 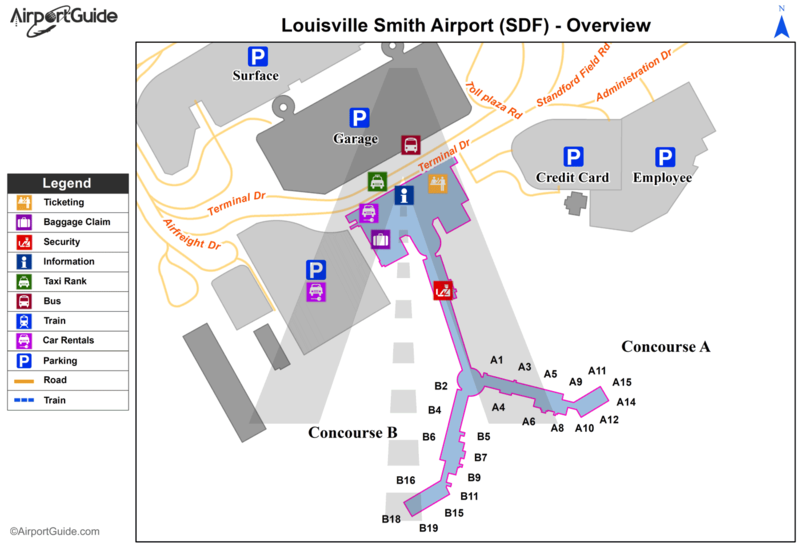 A110-2 CONTINUOUS CONSTRUCTION ON ARPT; BE ALERT FOR FREQUENT RUNWAY & TWY CLOSURES. A110-4 ASDE-X IN USE. OPERATE TRANSPONDERS WITH ALTITUDE REPORTING MODE AND ADS-B (IF EQUIPPED) ENABLED ON ALL AIRPORT SURFACES. A110-5 TAXI IN PSN AND HOLD WAIVER IN EFCT FROM SS UNTIL SR AT THE INTXN OF RWY 17R AT TWY B OR RWY 17R AT TWY A8. TAXI IN PSN AND HOLD WAIVER IN EFCT FROM SS UNTIL SR AT THE INTXN OF RWY 35L AT TWY B OR RWY 35L AT TWY A.
A110-6 STD DEP POINTS ON RY 17R ARE AT TWY B AND RWY 17R AT TWY A8. PILOTS MUST REQ USE OF RY 17R EXTN. DECLARED DIST FOR TKF AT TWY B ASDA/TORA/TODA 10,245 FT.
A110-8 ANG: APVL AUTH 123 AW/OGC, BASE OPS DSN 741-4581/4584, C502-413-4581/4584. CTC DERBY OPS FOR ENG START AND TAXI CLNC. Dual Wheel Landing Gear: 207.